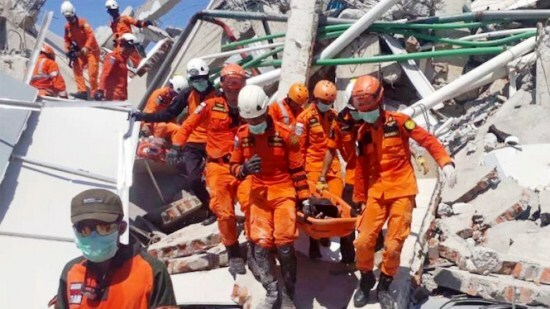 BINTANGNEWS.com – Indonesia has prepared a mass grave for victims of a powerful earthquake and a tsunami to prevent an outbreak of disease as it appeals for international assistance in its efforts to deal with the trail of destruction. On Friday, the Indonesian island of Sulawesi was rocked by a devastating 7.5 magnitude quake followed by a tsunami, which unleashed waves as high as six meters in the coastal city of Palu. 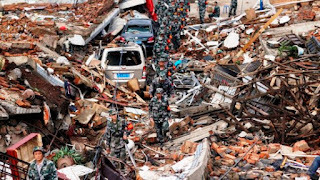 The official death toll currently stands at more than 844, but the figure is expected to rise amid ongoing search and rescue operations. Indonesia volunteers on Monday dug a 100 meter-long grave in hills above the city of Palu to bury some 1,300 victims. They began burying the dead bodies already retrieved. Four days on, authorities are desperate to stave off any disease outbreak caused by decomposing bodies. They have announced a 14-day state of emergency. According to officials, the situation in the far remote areas and villages are not yet clear, medicines are running out and rescuers are struggling with a shortage of heavy equipment to reach those calling out for help from the ruins of collapsed buildings. Indonesian Vice-President Jusuf Kalla said the final death toll in the more outlying regions could be in the “thousands” since many places have still not been reached. Many victims are already buried under the rubble of buildings and houses, according to officials. Dozens of people were reported to be trapped in the rubble of several hotels and a mall in Palu, a city of 380,000 people. President Joko Widodo has called for “day and night” efforts to save all those who could be saved. Spokesman for the National Disaster Mitigation Agency, Sutopo Purwo Nugroho, however, said the sheer power of will may not be enough. 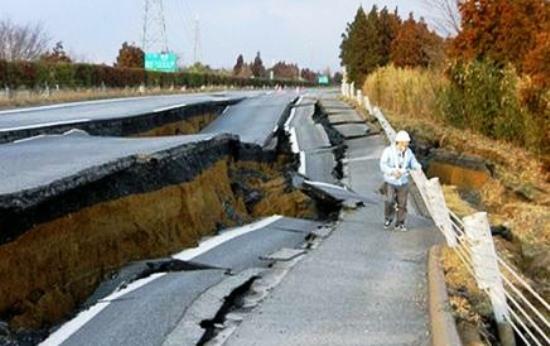 The aftermath of the country’s most destructive earthquake and tsunami since 2009, prompted the government to appeal for international aid. With the Palu airport closed, relief workers are also facing difficulties to reach the devastated island, while the drive from the nearest airport is around 10-12 hours to Sulawesi. In the meantime, many survivors have turned to looting shops for basics like food, water and fuel. “There has been no aid, we need to eat. We don’t have any other choice, we must get food,” one man in Palu was quoted by AFP as he filled a basket with goods from a nearby store.